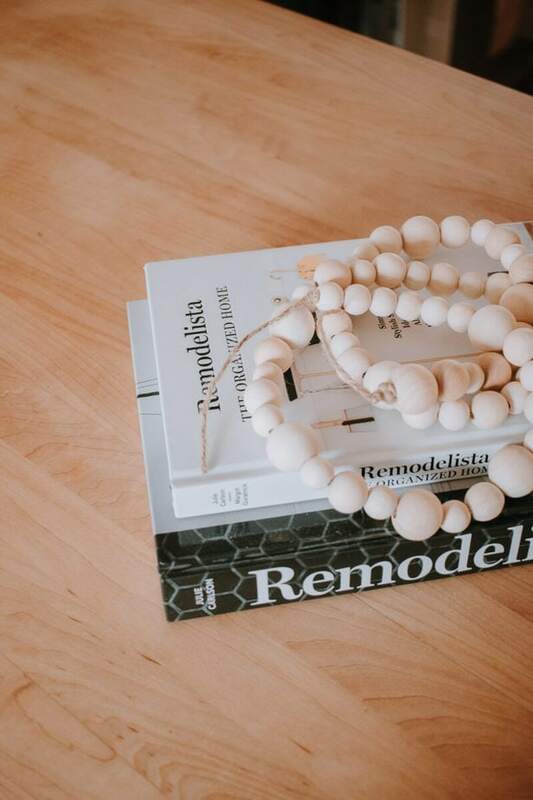 Learn how to make a natural DIY wood bead garland from just a few inexpensive materials. 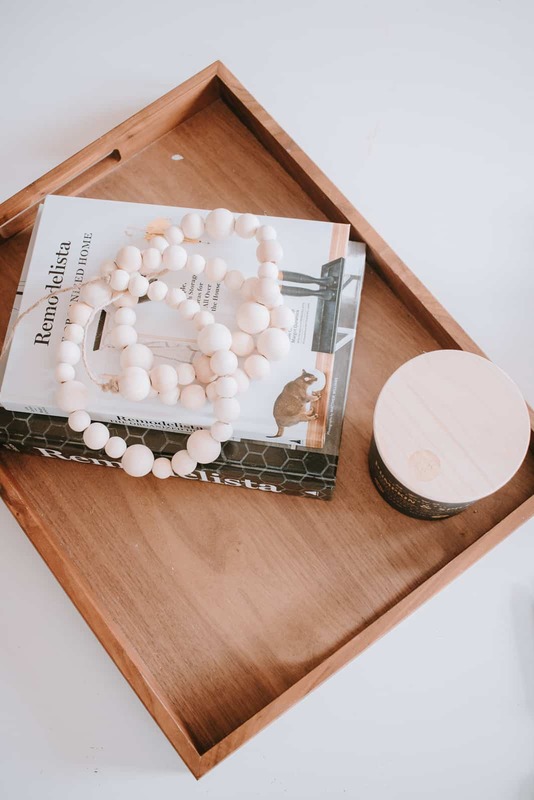 I have a super simple and quick diy project for you today. 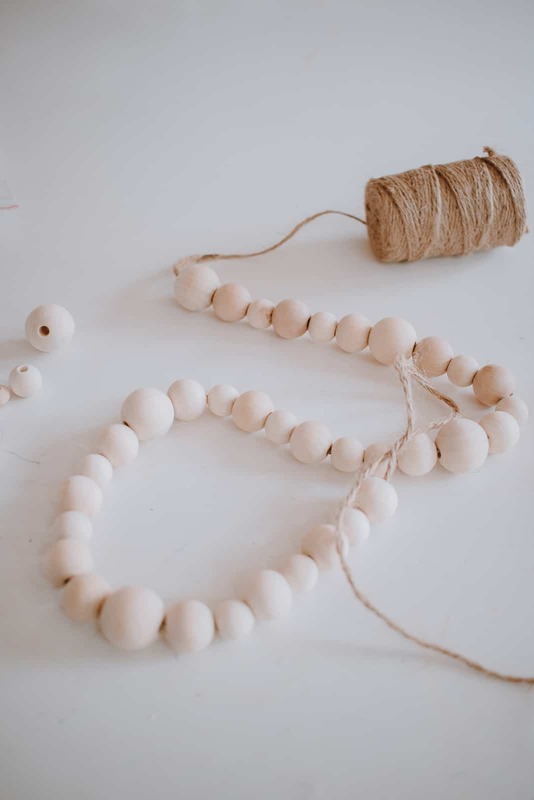 A while back I had made one of these wood bead garlands. And I loved it! My kids loved it too. And they ended up “playing” with it until it broke and little wood beads scattered all over our living room floor. I ended up using some of the beads for a wall hanging. 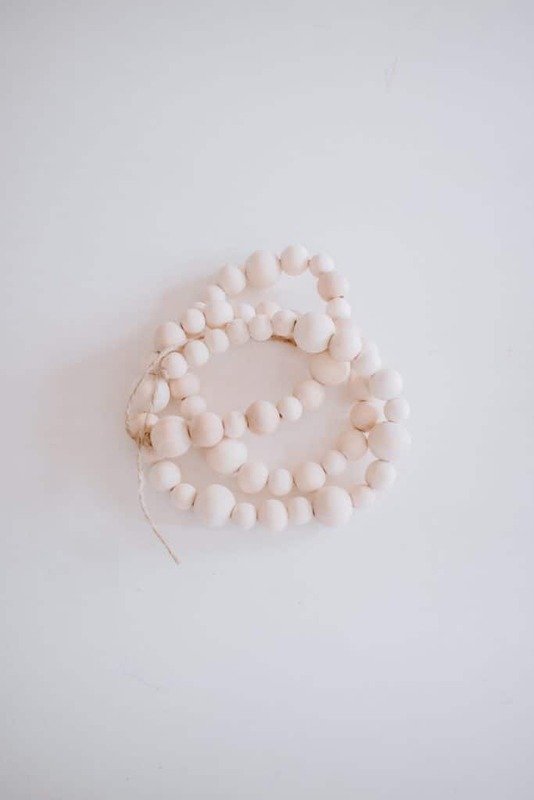 The others I tucked away for when I would make another one of these wood bead garlands. Only this time, I ended up using a variety of different sized beads. And I didn’t add any tassels to the end this time either. I kept it very simple and Scandinavian styled. Do you want tassels though? I included that tutorial below as well. 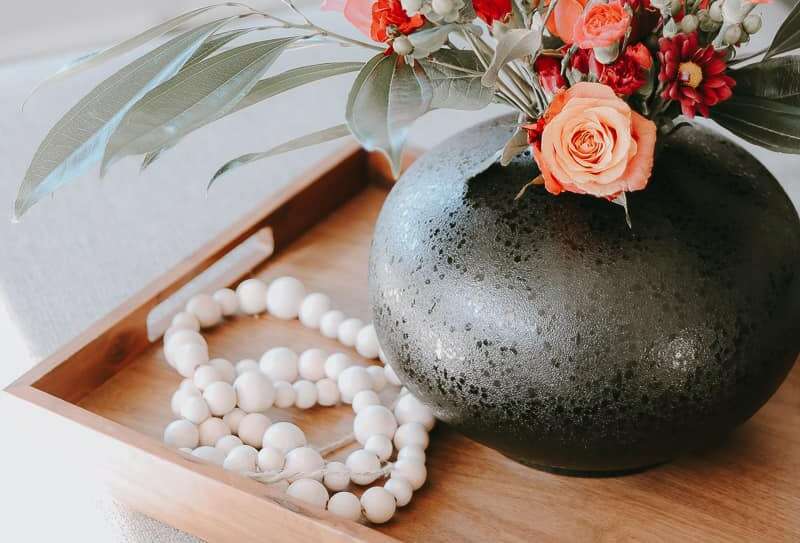 Actually, you don’t even really have to DIY these anymore – Amazon has a bunch of wood bead garlands for sale. But what’s the fun in that? I think it’s much more sentimental to do it this way. And good for the soul. It took me ten minutes start to finish. Literally. While listening to Christmas music. Too early for Christmas Music? I say it’s never too early for Christmas music! 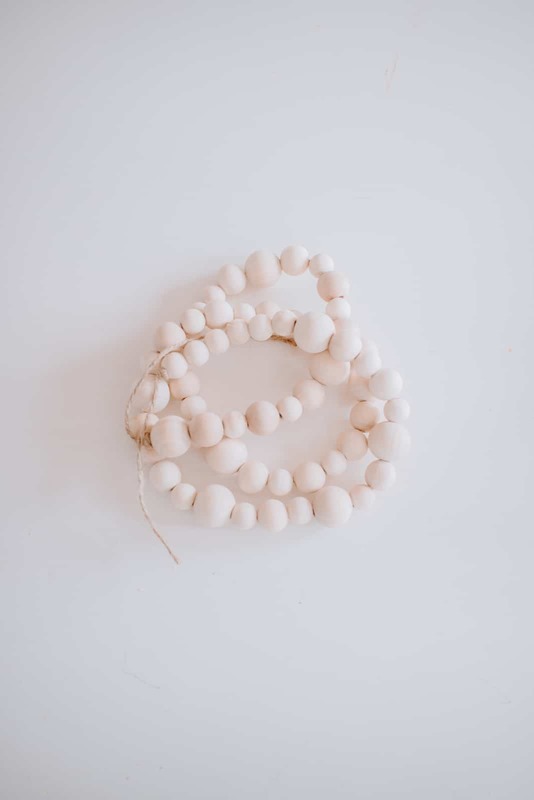 Wood Beads – I used these beads as well as a few of these ones from a previous project. I like bigger beads (larger than 20mm for your reference). You can make your garland as long or as short as you want. String the beads on your jute twine. I started off with a pattern and then just randomly strung beads on when I ran out of certain sizes. Tie triple knots on each end of the garland, and leave a little trail of jute string. I really love the larger sized beads. Those are my favorite. 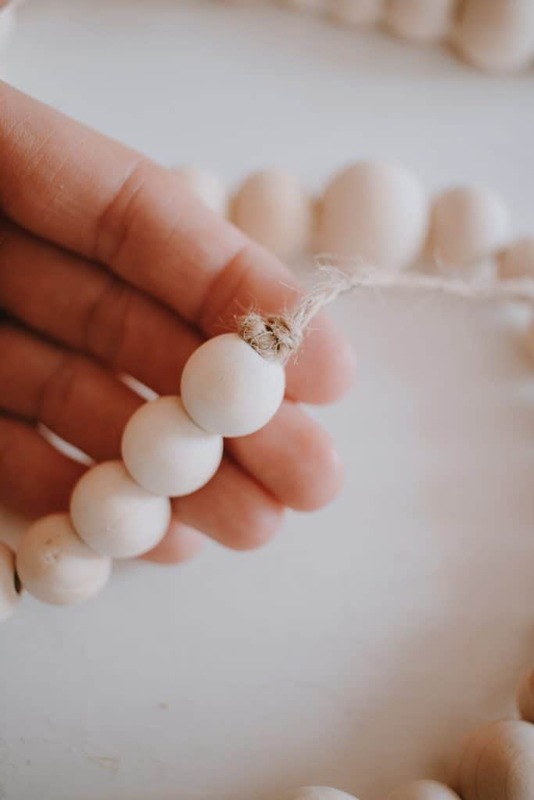 I considered painting these beads white. But I just love the natural color of the wood so much so I left them bare. 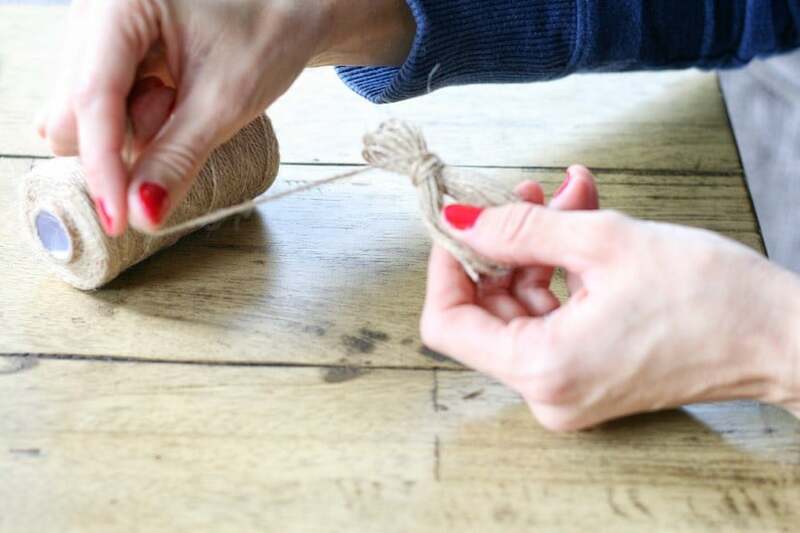 Take some jute string and wrap it around your hand several times. I wrapped it 15-16 times. This is going to create the tassels on each end. When you are done wrapping your loops, take more jute string (I didn’t cut it off yet – just continued with the same string), and wrap it tightly towards the top of the loops. Then tie it in several knots to secure it. Now you want to cut off the excess from where you secured it and also cut the loops at the bottom. Tada! Tassel. 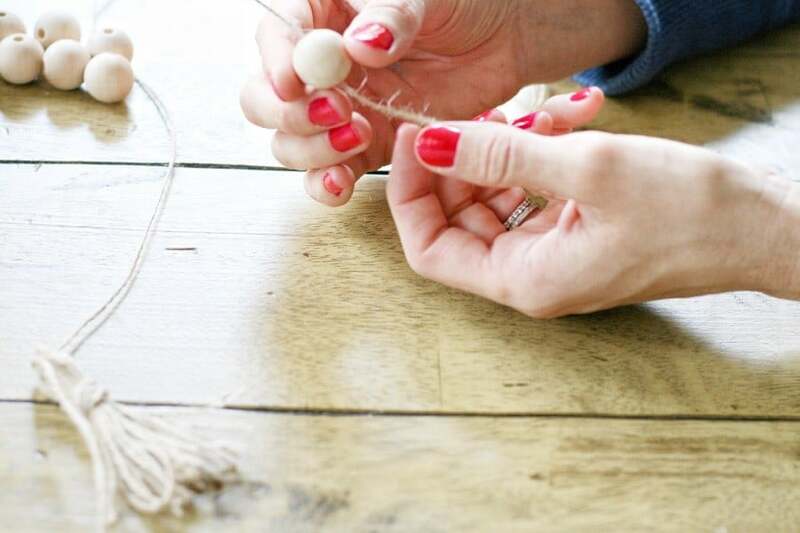 You are going to want to make 2 tassels – one for each end of the garland. 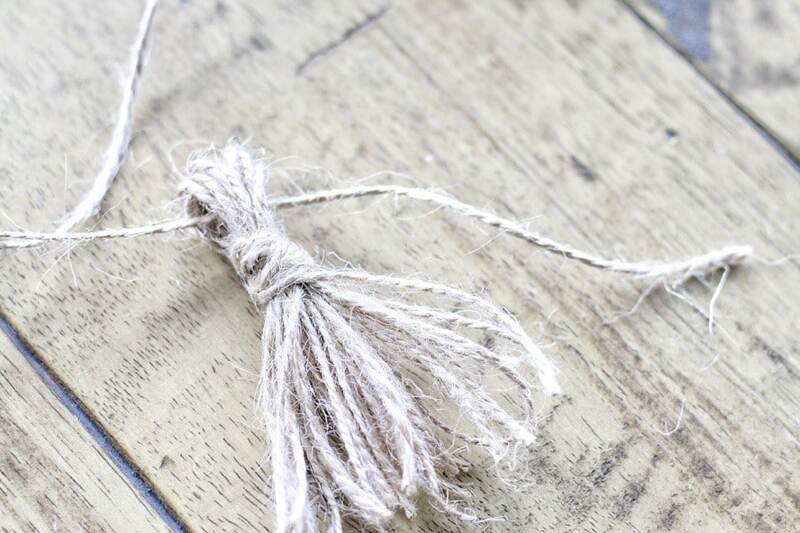 Next, you want to take a long piece of jute string and secure it to the top of the loop of the tassel. String it through the top loop of the tassel and tie it tight. This is the end of your garland. Make sure to have a looooooong piece of string attached. You can always cut off the excess at the end. Now just string your beads! It’s up to you how long you want to make it. The bead package comes with 30 beads and that actually makes for a pretty nice strand. I used 37 beads exactly. 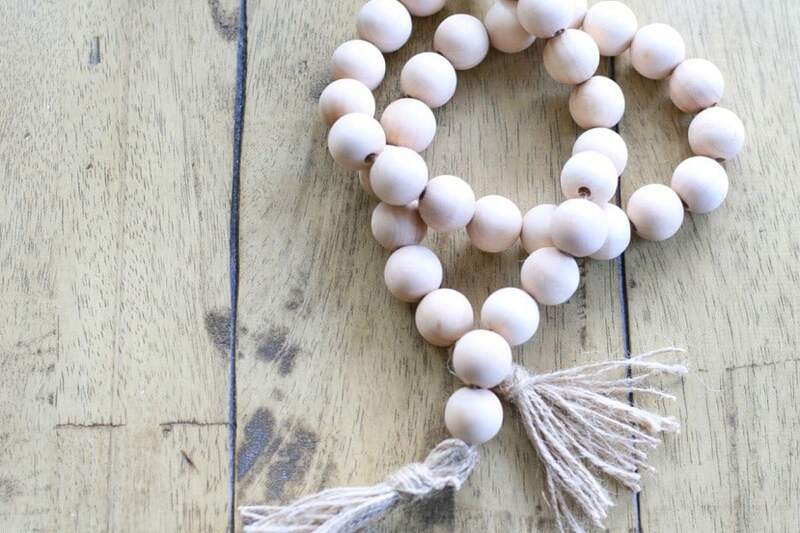 Once you are done stringing your beads on, you simply attach your 2nd tassel to the end and secure it with a knot. 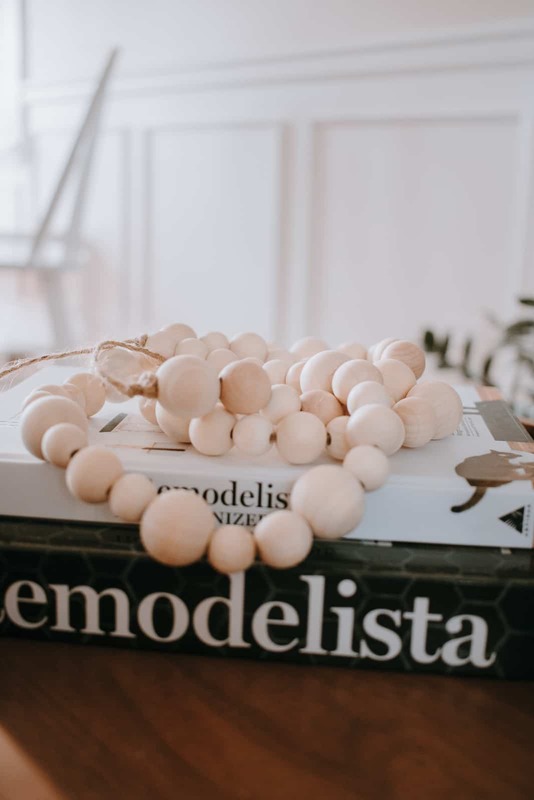 These natural wood bead garlands are great to display on your coffee table. Or on a stack of books. Or hung from your fireplace. Or hung around a lamp. So many uses! 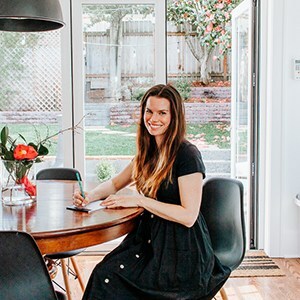 Actually, Studio McGee has a great post on how to style them. Basically, you can set them out all year long. It’s one of those season-less decor items. 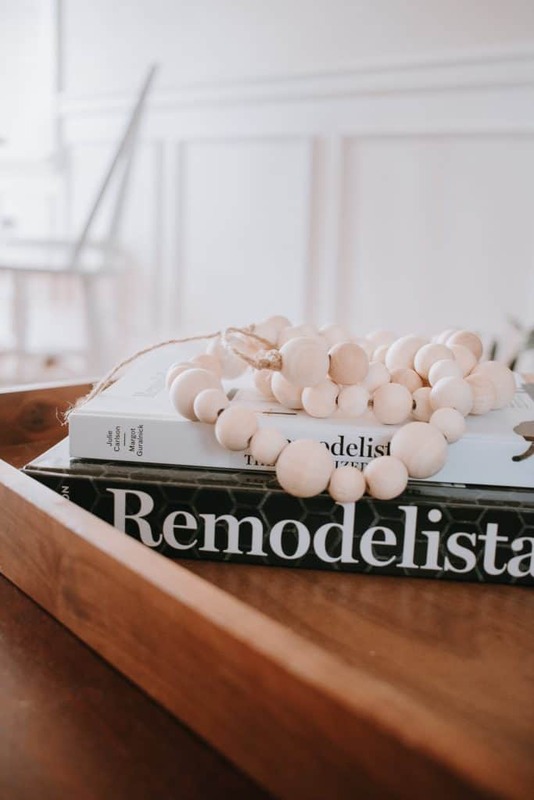 If you wanted to make a wood bead garland for your mantle, you would basically follow the steps above but just make it really really long. Or – you can make a slight variation – you can find a great tutorial on designlovefest. Hearth and Hand had a really popular one around the Holidays that you could buy at Target, but it’s since no longer in the collection! Maybe they will bring it back next season. You can still get it on Ebay if you really want it! 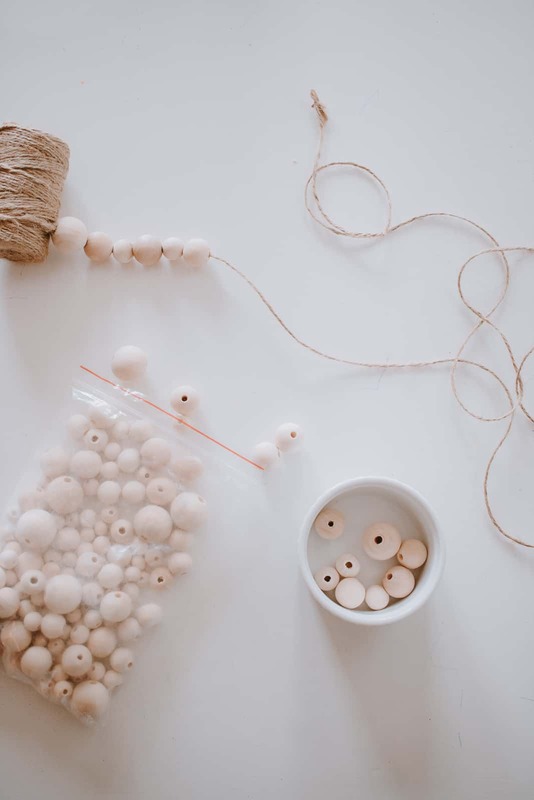 Have the kids make their own string of beads. So very cute!! I can’t wait to make it! Thank you so much.